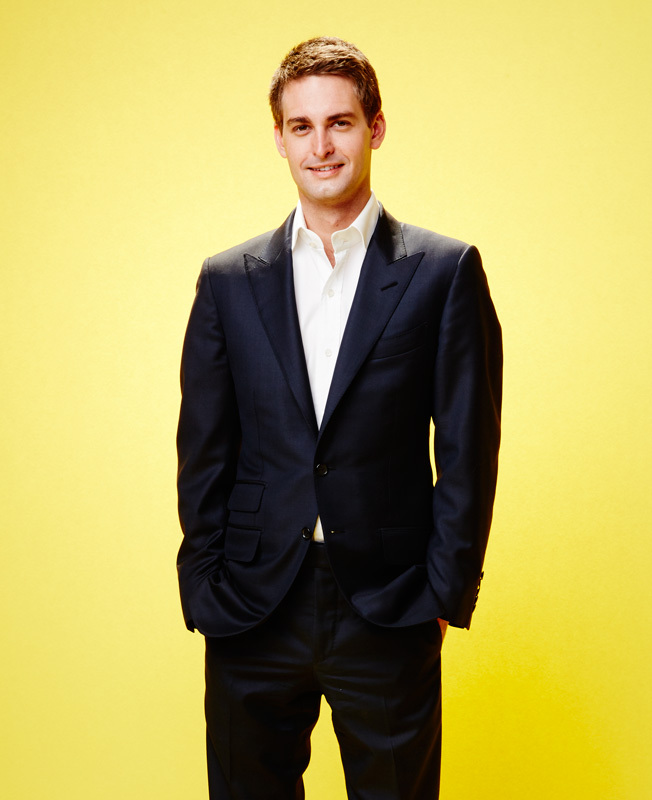 The early chapters of Snapchat CEO Evan Spiegel's public life have arguably made for a modern-day Silicon Valley soap opera. For a couple of years, the main storyline was his lawsuit (since settled) with Reginald Brown, an estranged colleague and alleged Snapchat co-founder. During the first half of this year, the plot involved a significant executive brain drain, with the departures of revenue boss Mike Randall, HR director Sara Sperling and COO Emily White—the latter an ad agency favorite who was supposed to be to Spiegel what Sheryl Sandberg is to Facebook's Mark Zuckerberg. By this spring, it had become fair to wonder: Would the company turn out to be as ephemeral as the disappearing photos and videos upon which it was built? No one is asking that now, thanks to Spiegel's increasingly obvious leadership talents, as he has admirably steered his vessel through every PR storm. Spiegel—Adweek's Digital Executive of the Year, who helms our Digital Brand of the Year, which our editors also awarded Hottest Mobile Design in our annual Hot List—has grown Snapchat into a ubiquitous messaging staple worth billions of views and billions of dollars. It's quite simply the hottest digital real estate on the planet. "He's [developed] a fantastic platform," says Tom Hyde, social strategy director at Droga5. "He's smart to evolve it and mature it from what it was—a bit of a nefarious, down-and-dirty, one-to-one platform—into one that has become worthy of being at the social media table for brands in their marketing mix." Spiegel has spent the past year building Snapchat's advertising business from scratch, quickly winning over notable brands and publishers along the way. This summer's Cannes Lions International Festival of Creativity served as a debutante ball of sorts for the company and for Spiegel himself, providing a high-profile introduction to the society of creatives who ostensibly will bankroll the business and fulfill investors' expectations. Before Cannes, Spiegel confessed to Adweek: "I've never built an ad business before." But he seemed to grow up in real time on the Croisette, getting cozy with agencies and publishers by announcing Truffle Pig, Snapchat's joint venture with WPP and the Daily Mail to create an agency focused on vertical mobile video. Since unveiling its first ad in October 2014—a preview of Universal Studios' Ouija—Snapchat has been a millennials connector for the likes of McDonald's, Procter & Gamble, Coca-Cola, Taco Bell and General Electric. Branded content, sponsored posts and ads have all entered the mix. Last month, 20th Century Fox became the first marketer to buy a sponsored selfie through the app to promote The Peanuts Movie, at reportedly $750,000 for a one-day lens. A few days later, Snapchat unveiled a second ad product, as Sony Pictures became the first promoted channel in Snapchat Discover. Publishers, some of which have seen millions of pageviews a day, have been increasingly keen on grabbing a share of Snapchat's massive audience. When Snapchat Discover debuted in January, the Daily Mail, Sheryl Sandberg were launch partners that eagerly began publishing via the platform. Along with serving as an avenue for advertising, it has also driven traffic back to media companies' own sites and helped legacy content providers build a broader and younger fan base. "It's more MTV than it is Twitter," explains Ian Schafer, chairman of Deep Focus. Katie Townsley, vp and executive director at MXM, notes that Snapchat's key elements include keeping advertising lightweight, content driven, visually appealing and easily accessible. The promise of real utility for audiences and brands helped evolve Snapchat beyond a "sexting app," she says—transcending its early reputation among parents while dispelling speculation that Spiegel was too immature to lead the company. "Am I surprised that Spiegel has developed a discipline for integrating advertising in a smart way? Not wholly," she says. "He has solid examples in Facebook, Twitter and Instagram to look to regarding how to evolve your platform for larger partnership and integration. He didn't have to completely reinvent the wheel." Sums up Chris Tuff, evp and director of business development and partnerships at 22squared: "What Evan Spiegel has been able to grow so rapidly is pretty amazing—the numbers speak for themselves."